Back to school: school days times will be reinstated on the 409 and other key routes in Oldham and Saddleworth. For many Oldham and Saddleworth passengers, this autumn’s timetable changes affect seasonal timetables. Yes, as the nights get longer, the school day times are back on the agenda. More lasting changes will be made to the 181 and 182 services to Shaw and Rochdale. Manchester-bound journeys from Shaw [Wren’s Nest] will leave six minutes later on weekdays. There will also be minor changes to the 74 service. Peak hour weekday journeys will be retimed. On Monday to Saturday, the 76 will also have an additional journey from Piccadilly Gardens to Failsworth, leaving at 2350. Also subject to retiming changes is the 149 service on a few Monday to Saturday morning journeys. This is also the case with the 415 service to Middleton. 409: Rochdale – Oldham – Ashton-under-Lyne – First Greater Manchester. As we said in the Tameside and Glossop service changes, TfGM’s LocalLink network could be seeing some changes. It is proposed that the Demand Responsive Transport service will have a later start and an earlier finish. This may entail the discontinuation of early morning and late evening journeys. Furthermore, changes are proposed for the 74 and 76 services. Changes to tender costs may see the 74 service split into two. At present, the Failsworth to Oldham section of the 74 is subsidised by TfGM. From the 28 October there could be two 74s in Failsworth: Stagecoach’s to Piccadilly Gardens, and the Oldham – Failsworth one (presumably operated by another company). Guaranteed connections between the two 74s are proposed which may be fine if you have a GetMeThere or System One ticket. To avoid confusion, the Oldham – Failsworth 74 should be given a new number. 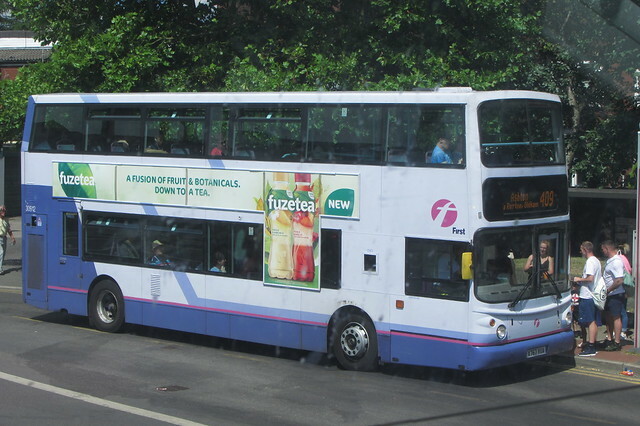 Possibly 404 or 414, which keeps its within Oldham’s local routes (as per the 1973 – 74 renumbering). All will be revealed once the Winter 2018 changes are announced on East of the M60.